Jesus erupts into history for a few brief years, and had maximum impact before the strange events of the end of his life. Jesus operated some time in the procuratorship of Pilate, which was 26-36 A.D, and the reign of the high priest Caiaphas, 18-36. He was born in the reign of Herod the Great, 27-4 B.C, probably about the year 6. His death date is uncertain, some say 30,others say 33 A.D, but between his birth and the beginning of his ministry, we know nothing about what he was doing, besides the story of the finding in the temple when he was twelve. What was he doing. There have been several theories. Life grows out of character, as novelists know well. You do not impose a plot on the characters, for the plot grows out of who they are, and Jesus was a strange and powerful character, so we expect that he would have a life less normal than others might. Yet many thinkers presume that for thirty years or so he was working full time in the carpenter's shop in Nazareth, after which he went and met John the Baptist, had a profound religious experience, then set off on a radical mission that ended two or three years later. I am unconvinced. Some thinkers assume the following scenario was the case. Jesus for some time was a disciple of John the Baptist, until he struck off on his own. Well, John's gospel certainly has Jesus associating with John and his disciples at the Jordan, but this is a far cry from Jesus being a disciple of John's, for the account of their association is consistent with Jesus either being a disciple or an associate, and as philosophers know, when a statement is susceptible to two equally credible explanations, more study is required to determine which one is the right one. However, this data is currently lacking, and in its place various speculative theories have arisen. One story has Jesus visiting Britain. The legend is that his uncle was Joseph of Aramathea, a relative of Mary's. This is not improbable, as the Romans used to allow relatives to collect the bodies of their executed relatives,which Joseph did in Jesus' case. But the case for a British visit is not proven.The story goes that Joseph was a tin trader [no proof of this] and therefore visited Cornwall, taking the young Jesus with him. There is no historical backing to this tale and no church traditions ever recorded it. An intriguing tale arose in the nineteenth century. Nicolas Rohrich, a Russian traveler, was in Tibet and was discussing religion with a Buddhist abbot, what else do you do with Buddhist abbots? During the conversation Rohrich pointed out that we knew nothing of the hidden years of Jesus, only to be told that Jesus was in Tibet. The abbot produced a document detailing Jesus' time there. To cut a long story short, Novotich, another Russian, translated the document and publicized it in the West. Swami Abidananda then tried to discredit the tale and so went to the monastery of Himis [Hemis] only to find that there really was a document that said what Rohrich said that it did. He became convinced of its veracity. The tale is that the young Issa [Jesus], aged about thirteen, joined a group of merchants heading eastwards. He went to India where he impressed the Brahmins, who tutored him in heaiing arts.However, he made enemies by opposing the caste system and idolatry. This led to his enemies plotting to kill Jesus, but he was warned and fled to Tibet, where the Buddhist monks took him in. Finally at twenty nine he returned to Israel where he was put to death by Pontius Pilate. I have read the translation of this manuscript. Some suggest that it was influenced by Nestorian Christians, but I can find no Nestorian theology in it. It begins by saying that the soul of the world detached itself from the One to become incarnate as man in Issa. This statement has no parallel in Christian theology, though it might have some affinity to the Logos doctrine of John's Gospel. 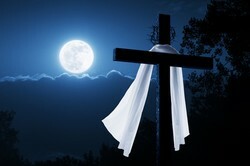 However,it does indicate that the writer considered Jesus to be more than human. The manuscript describes Jesus as the new Moses, a well-known Christian theme, but whoever wrote it shows no knowledge of the written gospels, as there is no trace of any gospel material in the manuscript, and there is no knowledge of the resurrection. There is one teaching on the value of women and one on the value of manual work, but the whole text is short on teaching. This limitation leads me to think that as Nestorian Christians are as knowledgeable on scripture as other Christians are, the manuscript did not come from them. There is no evidence that the writer knew any Christian theology at all, for reference to the salvation and the redemptive value of the cross and resurrection are completely missing. This omissions suggest that this document is from a non-Christian source, which reinforces the conclusion that Nestorian Christians were not behind it. There are said to be several legends about St Issa in Nepal and Tibet, where his memory is cherished, and there is a sect of people who claim to be his followers, who declare that he taught them to oppose the caste system. Interestingly, the name Issa is the Muslim name for Jesus, so there could be some Islamic influence in these tales. I cannot prove or disprove the veracity of this tale. It would need an expert with knowledge of he language in which the text was written, probably Pali, and a masterly grasp of its scriptography. This expert would have to exhaustively analyse the document to come up with a conclusion and check out any historical references for consistency. All we can do is put together the pieces in the historical jigsaw to come up with a credible theory. But there is a possibility that should have struck more people than it has done: Jesus was studying. We must remember that to be a true Jew is to be a scholar, and the Jews as a religion have a magnificent tradition of scholarship. Rabbis train until the age of thirty, which is what Jesus was said to be when he commenced his ministry. In John's Gospel opponents wonder where he obtained his wisdom, which suggests that he had not attended the schools at Jerusalem, but there were other schools. There were some in Babylon, a great centre for Jewish scholarship and not far from Galilee. There was also Qumran, the Essene base in the Jordan valley near the Dead Sea, associated with the Dead Sea scrolls.The Essenes were pious Jews who rejected the Jerusalem establishment, and so anyone of Essene leanings would have eschewed the Jerusalem schools for the Essene site, where they would receive purer [in their view] Jewish teaching.Qumran was an ideal place for a young idealistic Jew with anti-establishment leanings to study. The pointers seem to focus on Qumran. Jesus and John both commenced their ministry in the Jordan valley near Qumran [according to John's Gospel.] In John 1 the first disciples ask Jesus where he lived, and Jesus says "Come and see." This shows that he was living in that region at the time, not just visiting. Furthermore, there were caves above the Dead Sea that could be used by Qumranis who were seeking a period of quiet prayer. These would be ideal places for Jesus to have spent his forty day period in the desert. The presence of the Dead Sea scrolls [hidden from the Romans in the caves above Qumran during the Jewish revolt years later] reveals the presence of a large library at Qumran, an ideal place for a strict Jew to study. The scrolls that were found in 1948 were but the last remnant of a much larger library. Evidence of this comes from the fact that Origen in the third century writes of buying a scroll that was found in a cave above the Dead Sea, so people must have been looting the caves for years. The Essenes were super-strict about the law.But it is notable that the Essenes disliked the Pharisees and the Sadducees. The gospels criticize both those groups, but nowhere does Jesus ever criticize the Essenes. Is this coincidental? I think not. I am going to make the suggestion that Jesus and John the Baptist both knew each other at Qumran, they were cousins anyway. At a certain point when they had been some years at Qumran they decided to take the message beyond the spiritual elite of Qumran to the masses. John did this with a ministry of baptism, which he intended for the ordinary folk. Jesus did it with a ministry of forgiveness. Thus when Jesus came for baptism John was puzzled, why would a spiritually pure Qumrani take this ritual intended for the sinners? But Jesus had his own thoughts and was on his own path, close to the path of John, but not identical with it; and Jesus wanted to radically identify with the common people, hence his baptism. What I have proposed is a theory, but it is one that explains the gap in our knowledge and ties in with the facts from Scripture that we possess. 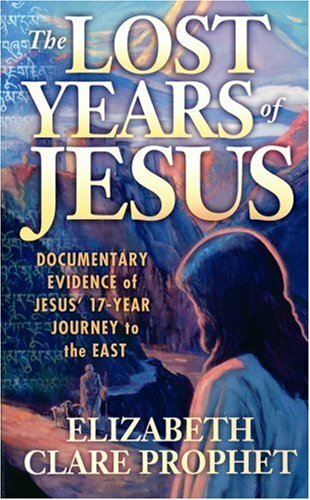 It is also credible as it locates Jesus firmly in Jewish culture, which is where he belonged. The Jewishness of Jesus is an essential part of an account of who he is. You are right that he wanted even the vilest to be saved. Anyone who follows Jesus would not wish that any soul be lost. You are right to draw attention to the works of Josephus, which give historical corroboration of the Jesus story.